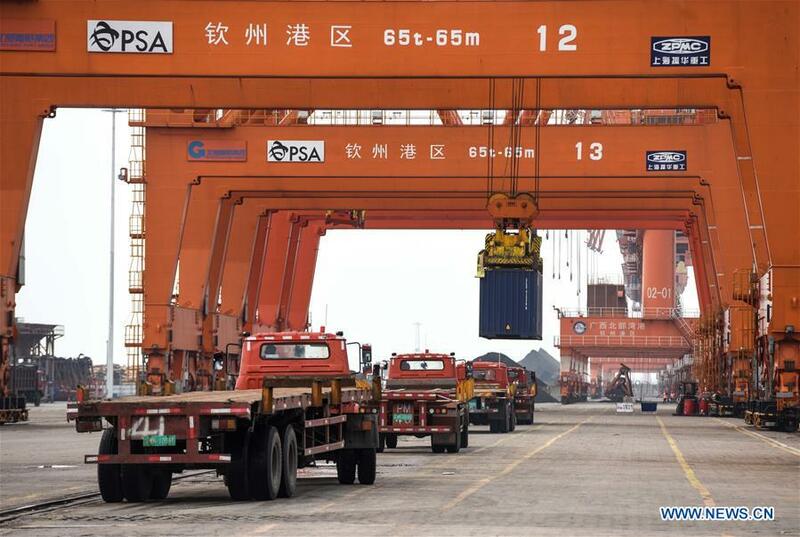 Total volume of trade between China and the Association of Southeast Asian Nations (ASEAN) countries hit a record high of 587.87 billion U.S. dollars in 2018, up 14.1 percent year on year, an official with the Ministry of Commerce said Wednesday. China-ASEAN trade maintained a strong upward momentum last year, with two-way investments amounting to 205.71 billion U.S. dollars, said Yang Weiqun, deputy head of the Department of Asian Affairs, Ministry of Commerce. The mutual investment stock has grown 22 times since 2004, Yang added when attending a senior officials meeting for the 16th China-ASEAN Expo, which is scheduled to be held from Sept. 20 to 23 in Nanning, capital of south China's Guangxi Zhuang Autonomous Region. The theme of this year's expo is "Building the Belt & Road, Realizing Our Vision for A Community of Shared Future," with Indonesia as the Country of Honor. Yang said China hopes to take this chance to strengthen communication and cooperation with ASEAN countries. Gustanto, Consul General of the Consulate General of the Republic of Indonesia in Guangzhou, said the expo has made positive contributions to bilateral trade between Indonesia and China. As the Country of Honor, Indonesia plans to bring more exhibitors and deepen bilateral economic and trade cooperation, he said. Initiated in 2004, the expo is an important platform to promote trade and relations between China and the ASEAN. ​Total volume of trade between China and the Association of Southeast Asian Nations (ASEAN) countries hit a record high of 587.87 billion U.S. dollars in 2018, up 14.1 percent year on year, an official with the Ministry of Commerce said Wednesday.